Believe it or not, one of the things that I have been on the hunt for since the beginning of this whole wedding planning process is a great pair of shoes. I even decided on three different pairs before finally committing to one perfect pair. There are so many beautiful options that it was hard to choose. 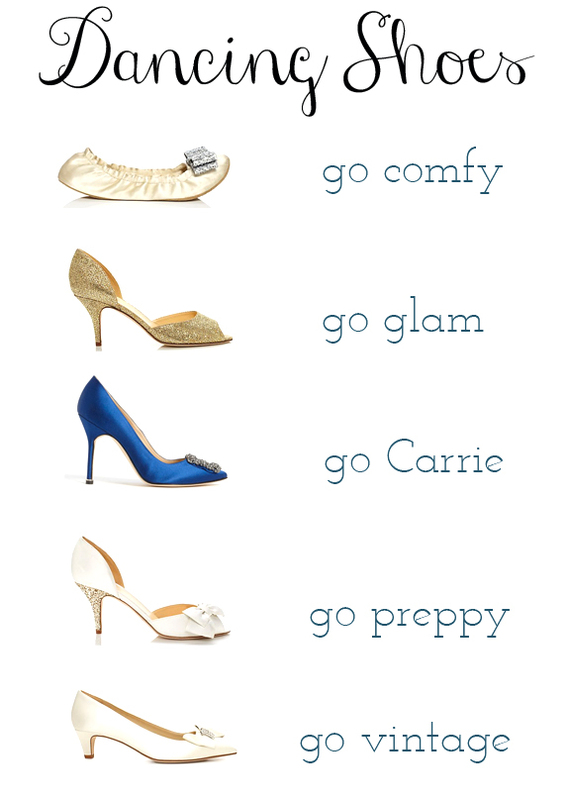 I love how versatile the wedding shoe has become over the years, and the options for adding a little punch to this part of your look are endless. I would be remiss if I didn't mention that my thoughts today will be with the tragedies of September 11th. Can you believe it's been 12 years? That means that most of my students weren't even born when the event happened. We'll spend today discussing it as best as we can in hopes to continue the memory and educate about our history. super cute & I love those flats!